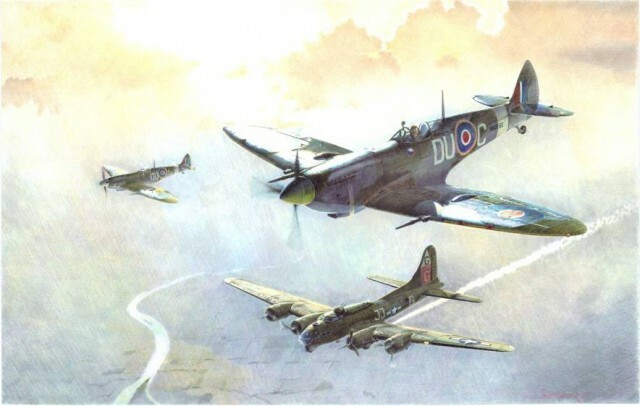 Another evocative drawing by Pavel Rampír in our collection, this time showing a pair of Spitfires escorting a damaged B-17 Flying Fortress of the American 8th Air Force back to safety, sometime during the summer of 1944. The Spitfires belong to No. 312 (Czechoslovak) Squadron.